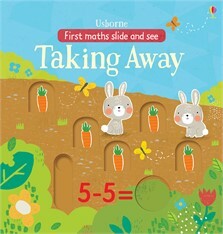 Excellent and interactive way to introduce counting and subtraction to younger children. 3 year old nephew loved the slots, as did 4 year old niece. The rhyming words helped with counting sequence. Bright illustrations. Entertaining.